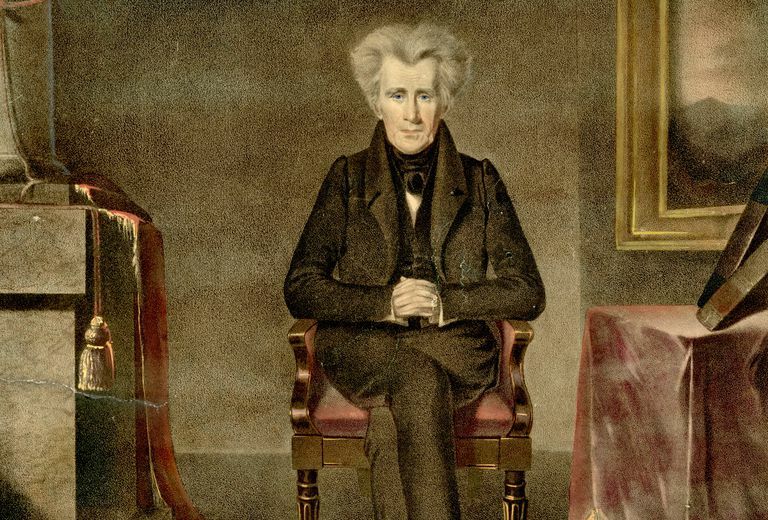 Popular legend contends that Andrew Jackson received a big block of cheese at the White House in 1837 and served it to guests at an open house. The incident achieved allegorical status during the run of the television drama “The West Wing” and in 2014 it even inspired a day devoted to social media outreach from the Obama Administration. In reality, two early presidents, Jackson and Thomas Jefferson, received gifts of enormous blocks of cheese. Both gigantic cheeses were intended to convey a symbolic message, though one was essentially celebratory while the other reflected some political and religious squabbling in early America. The better-known enormous White House cheese was presented to President Andrew Jackson on New Year’s Day 1836. It had been created by a prosperous dairy farmer from New York State, Col. Thomas Meacham. Meacham was not even a political ally of Jackson, and actually considered himself a supporter of Henry Clay, Jackson’s perennial Whig opponent. The gift was really motivated by local pride in what was becoming widely known as the Empire State. In the late 1830s New York was prospering. The Erie Canal had been open for a decade, and commerce energized by the canal had made New York an economic powerhouse. Meacham believed making a mammoth cheese for the president would celebrate the region’s spectacular success as a center of farming and industry. Newspapers reported that Meacham had also made five other cheeses, each about half the size of the presidential cheese. They were intended for Martin Van Buren, a New Yorker who was serving as vice president; William Marcy, the governor of New York; Daniel Webster, the famous orator and politician; the U.S. Congress; and the legislature of the State of New York. Meacham, intent of generation good publicity for his project, transported the enormous cheeses with great showmanship. In some towns the enormous cheeses were paraded on a wagon decorated with flags. In New York City the cheeses were displayed to curious crowds at the Masonic Hall. Daniel Webster, while passing through the city, cheerfully accepted his great cheese from Meacham. Jackson, reaching the end of eight controversial years as president, was described as “looking extremely feeble.” The cheese, however, was a hit. It was very popular with the crowd, though some reports said it had a shockingly strong odor. When the cheese was served "there arose an exceedingly strong smell, so strong as to overpower a number of dandies and lackadaisical ladies," said an article which appeared on March 4, 1837, in the Portsmouth Journal of Politics and Literature, a New Hampshire newspaper. "We cannot say whether the smell of Gen. Jackson's cheese denotes that he goes out in ill odor with the people; or whether the cheese is to be considered as a bait for the Treasury Rats, who are to be attracted by its scent to burrow in the White House." A postscript to the story is that Jackson left office two weeks later, and the new occupant of the White House, Martin Van Buren, banned the serving of food at White House receptions. Crumbs from Jackson's mammoth cheese had fallen into the carpets and been trampled by the crowd. Van Buren's time in the White House would be plagued by many problems, and it got off to a horrible start as the mansion smelled of cheese for months. The earlier great cheese had been given to Thomas Jefferson on New Year’s Day 1802, and was actually at the center of some controversy. What prompted the gift of the mammoth cheese was that Jefferson, during the political campaign of 1800, had been harshly criticized for his religious views. Jefferson contended that politics and religion should remain separate, and in some quarters that was considered a radical stance. Members of a Baptist congregation in Cheshire, Massachusetts, who had previously felt marginalized as religious outsiders, were happy to align themselves with Jefferson. And after Jefferson was elected president, a local minister, Elder John Leland, organized his followers to make a remarkable gift for him. An article in the New York Aurora newspaper on August 15, 1801 reported on the making of the cheese. Leland and his congregation had obtained a cheese vat six feet in diameter, and used the milk of 900 cows. "When our informant left Cheshire, the cheese had not been turned," said the Aurora. "But would be in a few days, as the machinery for that purpose was nearly completed." Curiosity about the enormous cheese spread. Newspapers reported that on December 5, 1801 the cheese had reached Kinderhook, New York. It had been paraded into town on a wagon. It was eventually loaded onto a ship which would carry it to Washington. Jefferson received the great cheese on January 1, 1802, and it was served to guests in the unfinished East Room of the mansion. It is believed that the arrival of the cheese, and the meaning of the gift, may have prompted Jefferson to write a letter to the Danbury Baptist association in Connecticut. As might be expected, Jefferson was criticized by his very vocal opponents. And, of course, the mammoth cheese was drawn into the mockery. The New York Post published a poem making fun of the the cheese and the man who cheerfully accepted it. Other papers joined in the mockery. The Baptists who had delivered the cheese, however, had presented Jefferson with a letter explaining their intent. Some newspapers printed their letter, which included the lines: "The cheese was not made by his Lordship, for his sacred Majesty; not with a view to gain dignified titles or lucrative offices; but by the personal labor of free-born farmers (without a single slave to assist) for an elective President of a free people."